Cute Comforter Sets for Teenage Girls! My Favorite Cute Comforter Sets for Teen Girls! Are you looking for the cutest comforter sets for teenage girls? Before you buy a cute comforter for your teen girl, make sure you are taking into consideration her favorite colors and style… If she likes black, then give her a cool black comforter set! How about a Beautiful Sunflower Quilt Set? 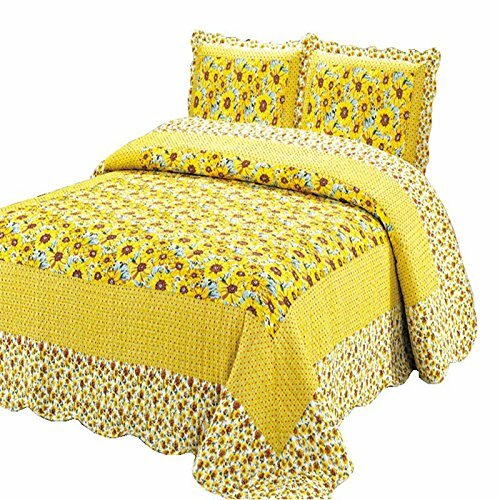 *Have you ever seen a more gorgeous and refreshing bedding set than this stunning sunflower pattern quilt set? Will brighten up your daughter’s bedroom! It also comes with two pillowcases. They make great gift ideas any time! Some teenage girls love to decorate their bedrooms in a girly cute way! Fun REVERSIBLE Purple Comforter Set for Teenage Girls! Another cute and fun comforter set for your teenage daughter’s bedroom! The other side has a fun ‘chevron striped’ pattern! It also comes with the bed sheets, pillowcases, and the fun decorative pillow! I also love the embroidered stars! 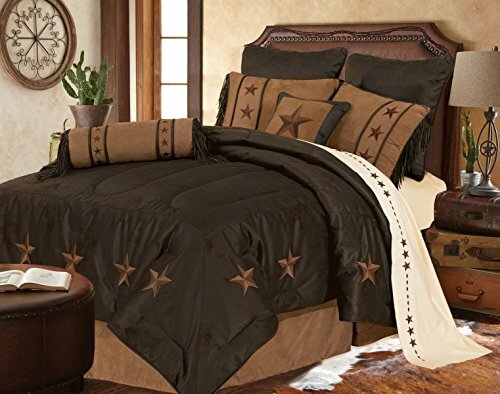 It is a queen size and made of microsuede and faux leather accents. It comes with 2 pillow shams and the cute small pillows you see on the picture! 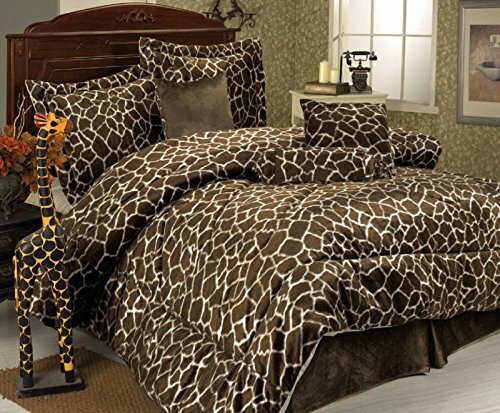 Adorable Giraffe Print Comforter Set for Teen Girls! I consider this unique giraffe print comforter set one of the most fun comforter sets for teenage girls! Will make their bedroom look like a fun safari! It is also extremely affordable! It is a king size, made of 100% polyester and machine washable! Fun Lime Zebra Comforter Set! 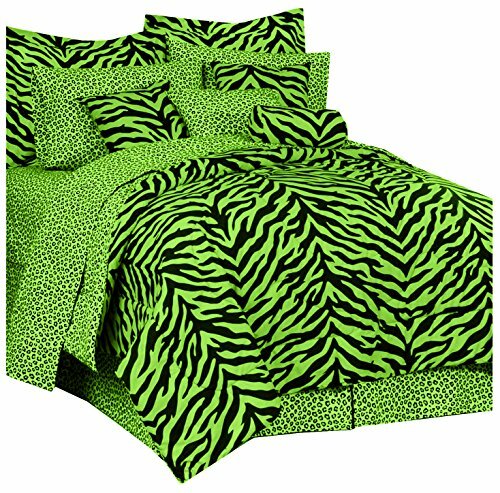 How awesome and perfect for a teen girl is this bright colored lime green zebra print comforter set? Will absolutely brighten up any bedroom! Besides the fun comforter, you will also get the bed skirt, two pillow shams, two sheets and two pillowcases! 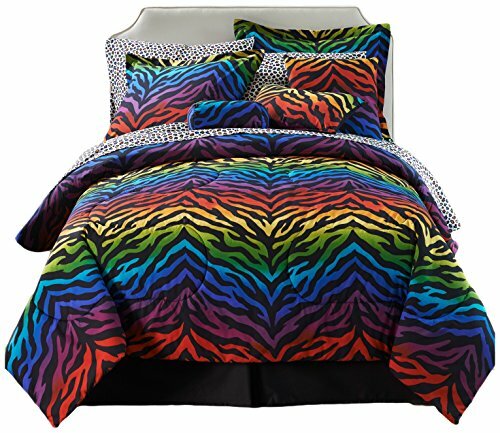 Rainbow Zebra Complete Comforter Set for Teenage Girls! Hello, rainbow and zebra lovers! It cannot get any more bright colored rainbow and zebra striped than this! 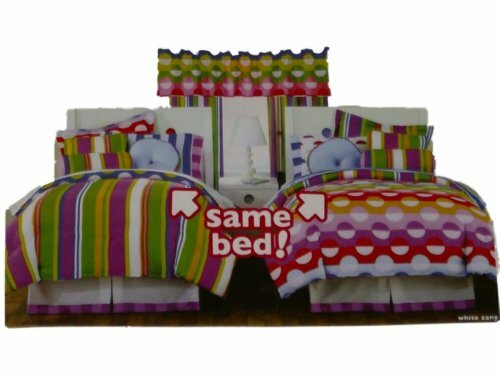 What a fun rainbow bedding set for a teen’s bedroom or dorm room! This vibrant rainbow full bedding set includes the comforter, sheets, pillowcases, bed skirt, and two pillow shams for the complete look! Comforter Sets for Teenage Girls: Romantic Tie Dye Bedding Set! Ok, I am guilty of loving colors! 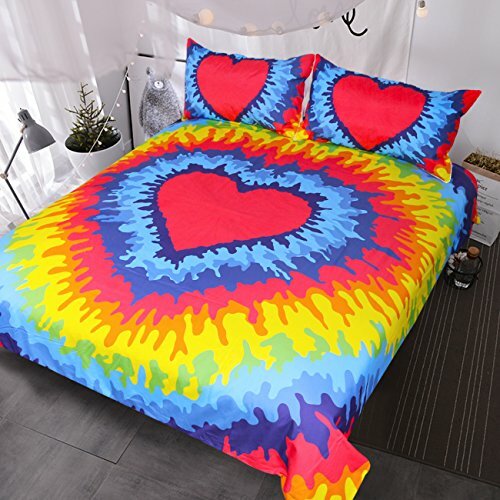 To complete even further your tie-dye bedroom, get this fun and romantic tie dye heart print bedding set for teens! This set comes with two rainbow tie-dye pillowcases! Isn’t it absolutely perfect for a dorm room? **You will need to insert any old comforter inside the duvet cover. 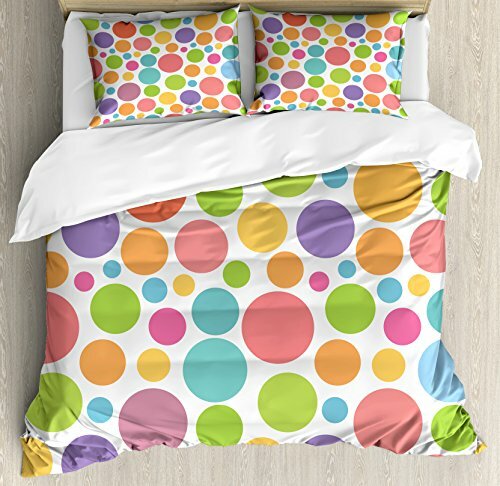 This cute and fun colorful polka dots pattern bedding set is also a very cool option for teen girls! 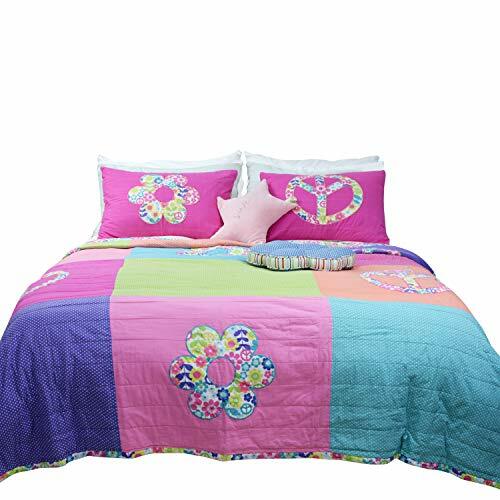 This pink, purple, light green and blue peace sign and flower print uilt set is another extremely awesome bedding set idea for teenage girls! The color combination is gorgeous and so is the design! Teen girls love peace sign design and pink colors as well! Besides the fun quilt, you will also get the two pillowcases! 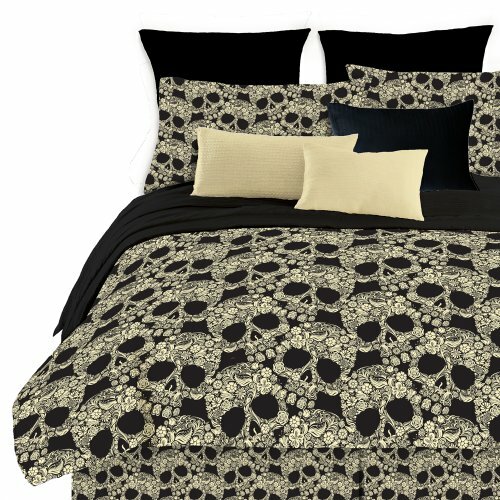 This is a very cool flower skulls comforter set for teen girls! It is very affordable and very ‘in’! Great gift idea for your teen! When your teen gets bored with one side, there’s another! Fun Beach Theme 10-Piece Quilt Set! This is a very cool beach theme quilt set for teenage girls! You can almost feel like you are in Hawaii…. I love the fun tropical design! The turquoise color is also gorgeous! Fun Stripes and Dot Designs Comforter Set for Teenage Girls! You gotta love the combination of colorful stripes and dot designs! It is a fun reversible full comforter set! Will definitely add magic and lots of color to your girl’s bedroom!